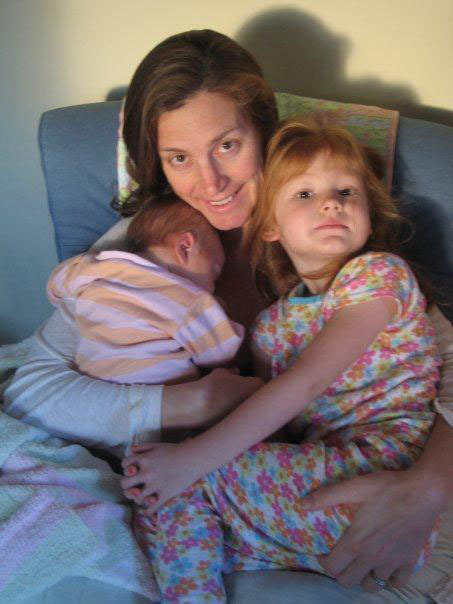 Leah Gerber and her little lovelies! Leah Gerber is an Associate Professor of ecology at Arizona State University. Her research is motivated by a desire to connect academic pursuits in conservation science to decision tools and effective conservation solutions. This approach includes a solid grounding in natural history and primary data collection, quantitative methods and an appreciation for the interactions between humans and the environment. She is keenly aware of the need for the communication of scientific results to the public and to government and non-governmental agencies. This communication is essential for the translation of scientific results into tenable conservation solutions. LG: I learned about ecology and environmental conservation as an undergraduate and quickly became motivated to do science that impacted the real world of conservation. 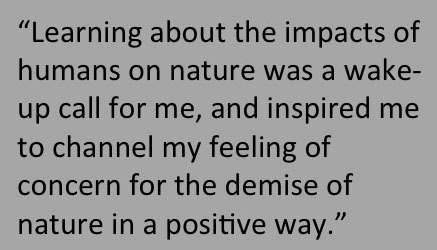 Learning about the impacts of humans on nature was a wake-up call for me, and inspired me to channel my feeling of concern for the demise of nature in a positive way. From there, I have walked the tightrope between science and policy. After getting my undergraduate degree in environmental biology, I wanted to do more than just the science. So I enrolled in a masters program at the University of Washington - an interdisciplinary program called Marine Affairs. It was a great experience, but I wanted to have more substance to my science background – I wanted to know how to do the science in addition to how to apply the science. This compelled me to enter a PhD at the University of Washington, which was largely funded by NOAA. My thesis involved trying to figure out how to make decisions about endangered species – how to determine which were endangered and which were threatened. This was a perfect project given my interest in developing tools to solve problems. After finishing my PhD, I did a postdoc at the National Center for Ecological Analysis and Synthesis (NCEAS) and developed approaches for marine reserve design and endangered species recovery. I was at NCEAS for three years before starting on the tenure track at Arizona State University. I’ve been at ASU for about 10 years now. A major theme in my work has remained constant – that is, how to use the information we are generating in the natural and social sciences to better manage our natural world. 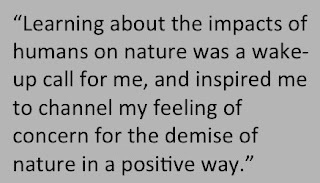 Pre-tenure I focused a lot more on doing the science, publishing in good journals, and hoping that it made its way into good policy. Now that I am midcareer, meaning that I have a good amount of papers and tenure, I am enjoying the opportunity to work with practitioners outside of academia. For instance, I just got off the phone with someone from National Geographic regarding my recent publication on seafood health and sustainability. In that study, we performed an analysis regarding seafood in the context of health and sustainability, to answer simple questions like, what to order when out to sushi? How do we educate about health benefits and risks? We will be organizing a workshop to help restaurant chains, grocery stores, as well as environmental NGOs identify a path forward in informing consumers about healthy and sustainable seafood choices. As a tenured professor, I feel fortunate to have the opportunity to work at the science-policy interface and to give society some science that is truly applicable. DXS: It is too bad that you have to wait until you are more established and have tenure to go out and engage with the public, because this type of thing is just so important! LG: Yes, I agree. There isn’t a clear path in academia when it comes to public engagement. But in recent years I have felt optimistic – the landscape within academia is starting to change, and at ASU this change is noticeable. We have a fabulous president, Michael Crow, who has really transformed ASU from just another state institution to a leader in sustainability. Part of this is the establishment of the Global Institute for Sustainability, and one of Michael Crow’s mantras is “community embeddedness.” He is really on board with this type of thing and I have seen evidence of his commitment trickle down throughout the University. For instance, when I first arrived, I had to justify and explain why I was serving on these federal recovery teams for endangered species. Now I feel that there is no justification needed. Developing solutions is not only so important for society, but should also be a key aspect of what we do at Universities. DXS: We were introduced by another fantastic science communicator, Liz Neeley, who you met at a communications workshop. Why is it important to take part in this type of training? LG: I met the Fantastic and Fashionable Liz through the Leopold Leadership Program, offered through the Woods Institute for the Environment at Stanford University. The Leopold Leadership training was the best professional development experience of my career, and has made me a better translator and communicator of science to policy. Pre-Leopold, I had little training in communications, and there I was, in a teaching position where I taught hundreds students. I thought to myself, well, how do I do this? The Leopold experience has solidified my commitment to teaching students about communication and engaging in policy. One development emerging from this training is a science communication symposium at the AAAS meeting. Elena Bennett and I are giving a talk on overcoming institutional barriers for community engagement, and we will address the issues head on. We put out a survey asking others if they faced institutional barriers, and how they might work to engage more. LG: I have 2 young kids, a 3yo and a 7yo. Being a mom helps me keep it real - I love that I get to enjoy the awe of discovering the world with my girls. We just got a puppy this weekend and we are having fun dressing her up and painting her nails (only partly joking). Other things that I do that are creative – truthfully, I am uninteresting – I don’t bake bread or go to the opera. I just work and take care of my kids. I practice yoga for my own sanity and also love to work in the garden. Doing these things gives me a reason to pause and step off the treadmill of keeping up with everything. DXS: Do you find that your scientific background informs the creativity you have with your kids or your yoga practice, even though what you do may not specifically be scientific? LG: I think there is synergy with my science and my kids and my yoga practice in helping me to accept things and be mindful – but not in any conscious way. For instance, when doing my science, the type A person that I am, I have an inclination to keep pushing, pushing, pushing. My kids and my yoga help me to shift gears and accept that things are going to happen when they happen. I try to let the kids be kids, including the associated chaos, and accept that this is a snapshot in time that they will be little. Now I find joy in that chaos. Having kids and yoga gives me a little more perspective, and the knowledge that things aren’t lined up and neatly placed in a box. It rounds me out. DXS: Are your kids are major influencers in your career? LG: My first child, Gabriella, was born just after I submitted my application for tenure - so it was good timing. And I was able to slow down. I quickly realized that I wasn’t able to work a 60+hour week. Before kids, I lived to work. Now, I work to live. I absolutely love my job and I feel so lucky that I have a career that I believe in and that I am actually paid to do it – it’s not just a hobby. But having kids made me chill out a little. If I get a paper rejected, I can let it go instead of lamenting about it for weeks. It has made me healthier. I don’t necessarily know if it has had positive impact on my career – time will tell. While my publication rate may be slightly smaller, I think my work now has different dimensions, and greater depth. I am still pretty passionate about my work, and my kids know what I do and are proud of it. They share it with their classmates, and take every opportunity to wax poetic about how their mom saves animals in the ocean. They also have a built in conservation effort – my 7YO gets irritated when she can’t find a compost bin, and her new thing is to only fill her cup half way because she will only drink a little bit of water. DXS: When you decided to have children, did your colleagues view you differently? Did they consider that you were sending your career down the tubes or was it a supportive environment? LG: I honestly had a really positive experience. I can’t think of any negative sentiments from my colleagues, and they were actually really supportive. For instance, when I was pregnant with my first daughter, ASU did not have a maternity leave policy. Before that, you would have to take sick leave. So my colleague worked within the parameters of the unit to give me maternity leave. And then with my second daughter, our new president had established a maternity policy. The support of my colleagues at ASU has made me feel loyal to my institution. Normally, I am loyal to people and not institutions, but overall, the support has been fabulous. Of course, with having the kids in each case, I did decline a lot of invitations – some pretty significant ones – but I did not have a desire to drag a newborn to give a talk, especially when I was nursing. And it was hard for me to do this at times, especially given my career driven nature, and I had to learn to accept that there would be other opportunities. I had to shift it down a notch and realize that the world wasn’t going to freeze over, and that I could shift it back to high gear later. With “mommy brain”, I knew I wasn’t going to be at the top of my game at that point in my life. But I have incredible role models. Most notable is Jane Lubchenco, currently the Director of the National Oceanic and Atmospheric Administration. During the first part of her career, she shared a position with her husband – each did 50% - and they did that on purpose so they’d be able to enjoy having children and effectively take care of them. Now, she is in the National Academy, is having major scientific impacts, and she did it all despite having kids. If she can do it, why cant the rest of us? DXS: Given your experiences as a researcher, as a mother, and now as a major science communicator, do you feel that your ability to talk to people has evolved? LG: Absolutely. I think that the Leopold Training Program, which selects 20 academics from North America to participate in retreats to learn how to be better communicate and lead, has re-inspired all who attended. It has recharged our batteries and allowed us to make realizations that doing good science and putting it out there via scientific publication is just not enough. We also have to push it out there and make it available to a broader, more diverse population. As part of the training, we also learned about different thinking styles – super analytical or super emotional – and after I returned, I had my lab group participate in this type of exercise. And now I feel like I can better assess a persons thinking style and adjust the way I communicate accordingly. DXS: Did you always have the ability to talk to the general public or does having kids help you to better understand some of the nuances associated with science communication? LG: I think so. In fact, I am thinking back to when I had a paper in Science come out around the time that I had my first child. It got a lot of news coverage and was featured in Time magazine. I thought it was so cool at the time, but looking back on it I realized that have come a long way. I said something to a journalist, who then asked me to translate it into “plain English.” It was a little bit of a jab. L: Mama is working on figuring out how to help the whales that people like to eat. It’s a big problem because some people like to eat whales and some like to see them swimming in the ocean. 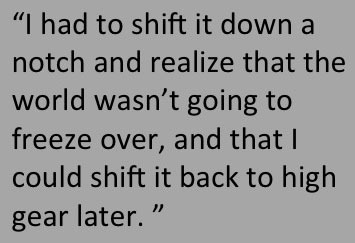 G: What we have to do is let the people eat the whales in the ocean, and buy some whales from the pet store to put back in the ocean. How much do whales cost? L: Good idea. But you can’t buy whales at the store. They are too big. And if we take them all out of the ocean there will be none left. G: Well instead we should ask the people to eat bad things like sharks. G: Well then the people should eat other things like fish instead of whales. They should buy a fishing pole and catch a fish and eat those instead of whales. L: What about chicken, shouldn’t people just eat chicken? G: Mama, we can’t kill chickens. Chickens are nicer than fish, so that’s why we have to eat fish. L: What about just eating vegetables? G: Oh mama, some people are meat-eaters. And there are no more dinosaurs. They all got extinct. They should have saved some of the dinosaur meat in the freezer for the meat-eaters. When the dinosaurs come back, there will be enough meat to eat and people won’t want to eat whales. The simplicity of taking myself out of my research bubble and engaging with a creative (and nonlinear?) 7YO has taught me how to be a better communicator – with the media, with my students, and with the general population. DXS: Do you think these efforts in science communication are helping to shift other peoples perspectives about who a scientist actually is? For instance, are we changing the old crazy haired white guy stereotype? LG: Well, I hope so. A couple of examples – again, as a mom, one of my daughters a Girl Scout and I get to help with the troop. One of the themes was to teach about environmental and conservations awareness. We did this Crayola molding experiment where we put our fingers into cold water. We then did the same thing except we put modeling clay over our fingers before putting them into the cold water and to learn about adaptations to extreme environments. Also, we play games where they simulate fishing – what if there is plastic? What happens to you if you eat that? My hope is that this shows these young girls that science is both interesting and fun. Another thing that just happened today is that I was contacted by Martha Stewart’s office, and it seems that some of my research results will be featured in the October issue of Martha Stewart Living. The message here is that I happen to care about the ocean, but I also love sushi. I also I care about health. I am not just a nerd in a lab coat. I am a mom, I do yoga, I have wonderful friends, and here is the kind of science that I do. It seems to me that it is better to connect with others when I can give them something that is relevant to their lives instead of a more abstract ecological theory. DXS: If you had something you could say to the younger you about getting on your chosen career path, what would you say? LG: I feel like I have been very effective at figuring out how to get from point A to point B, but less successful at savoring the process. I think that I’d tell myself to make time to celebrate the small victories. I have also learned to identify what kind of research is most exciting, and I would tell myself to say “no” to everything that is only moderately interesting. I tell my grad students that if you don’t dive in head first, you won’t ever know. So why just not give it a try! And if it doesn’t work, move on. Also, if something isn’t making you happy, change! Academia isn’t for everyone, and there is a lot more to life than science.